To roll over or roll under may be insignificant if toilet paper storage and hanging space is not available. Trying to just figure out where to place the TP can present a quandary when bathrooms are small. 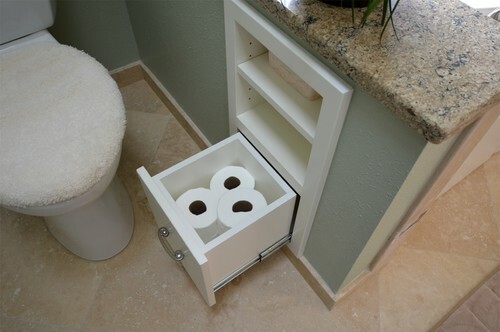 So, what’s a person to do when they have no extra place to display or store the TP. Well, here are a few creative ideas to help solve that problem.